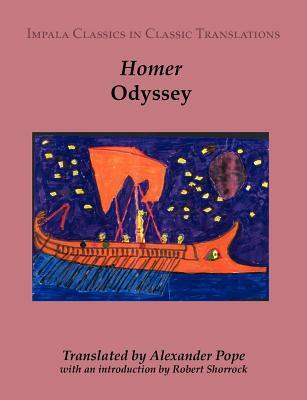 To the modern reader Homer's Odyssey is perhaps the most relevant and engaging of all the classical epics. It was not by chance that James Joyce, the mentor of Samuel Beckett, chose Ulysses as the title for his own epoch-defining novel. So successful was Alexander Pope's translation of the Iliad that the great English 18th-century poet then turned his hand - with the assistance of several collaborators - to the translation of Homer's second epic. A new introduction argues that Pope's Odyssey provides a fascinating window for the modern reader onto eighteenth-century attitudes and prejudices. Though it has been much neglected, Pope's Odyssey is in many respects a more interesting and stimulating text than his celebrated Iliad. Unusually for a work of this kind, the text is presented in a reader-friendly format, with generous space for personal annotations and references. Robert Shorrock teaches Classics at Eton College, Windsor. He received his PhD from the University of Cambridge in 1999 and is the author of The Challenge of Epic: Allusive Engagement in the Dionysiaca of Nonnus (Leiden, 2001). He has published a number of articles on epic poetry and the Classical Tradition, and is co-editor of the journal Greece & Rome.